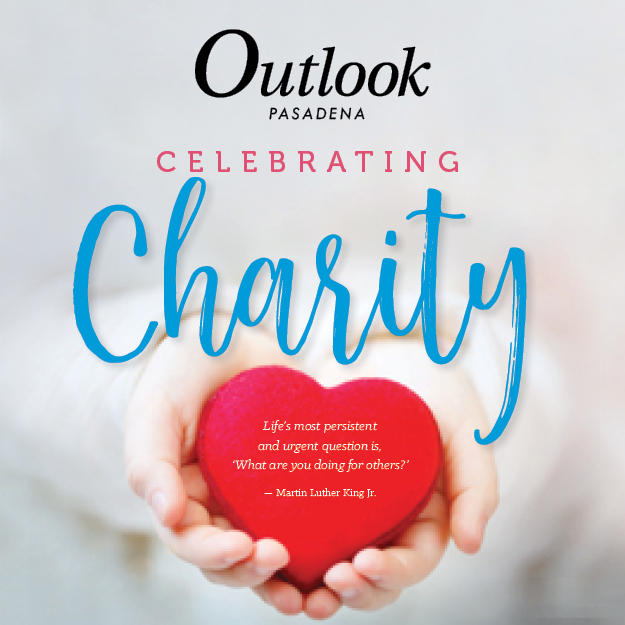 Door of Hope will celebrate 30 years of helping Pasadena homeless families rebuild their lives at a gala on Feb. 20. 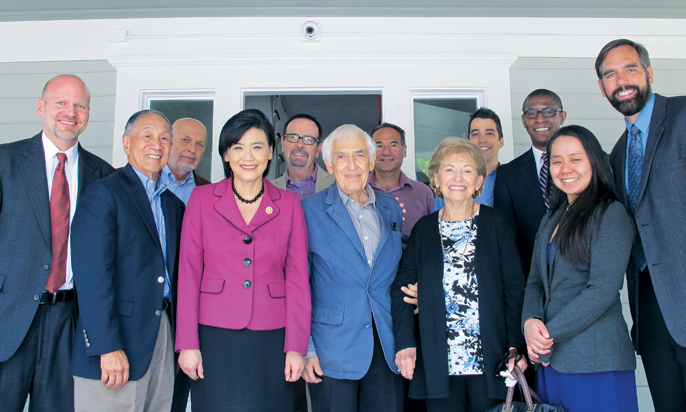 Pictured are Door of Hope board members, supporters and staff, including (front row, from left) Jim Howe, Bob Joe, Congresswoman Judy Chu, Door of Hope founders Steve and Iris Lazarian, and Door of Hope Executive Director Tim Peters (far right). Back: George Rothwell, Greg Waybright, Gil Gazanian and Jeremy Rose. For the past 30 years, Door of Hope in Pasadena has stood as a beacon of optimism in the community, helping homeless families rebuild their lives through a variety of resources. Nearly 1,500 individuals who once lived on the streets have found better futures as a result of their experience at the Christian faith-based transitional housing service. This concept of looking ahead toward a brighter tomorrow is one of the nonprofit’s primary pillars. 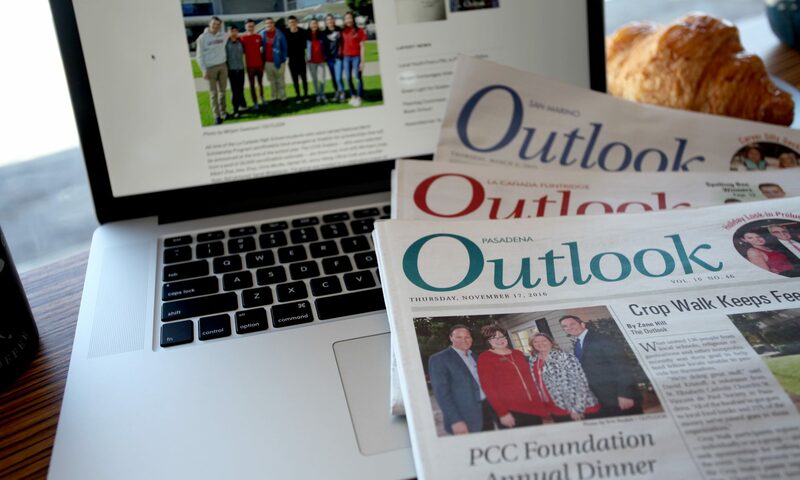 It makes sense, then, that instead of focusing on the past three decades of success, Door of Hope is choosing to celebrate what’s to come in the next 30 years and beyond at the organization’s upcoming gala on Feb. 20. Sponsored by East West Bank and Nestlé, the event will be held at the Noor space inside Paseo Colorado located at 300 E. Colorado Blvd. Door of Hope will welcome ESPN.com national basketball writer J.A. Adande as the gala’s Master of Ceremonies, enhancing a sports theme that has permeated the occasion with auction items ranging from a round of golf with NBA legend Jerry West to a private tennis lesson from Pete Sampras, among many others. Following a wine reception, the aforementioned online auction is scheduled to go live during an evening program that will accompany dinner. 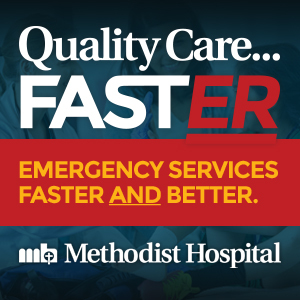 Peters plans to address the guests, sharing highlights of the organization’s first three decades while also discussing the focus of the future. “We’re going to hear from a current family from Door of Hope as well as an alumni family that have been directly affected through the program,” said Door of Hope Development Associate Nicole Peters, who promised some surprises as well. All proceeds from the auction and ticket sales will feed directly into the general operating budget of Door of Hope, which serves two-parent families, single fathers, single mothers and victims of domestic violence at three different locations in the San Gabriel Valley. The typical family stays at Door of Hope between four and six months. During this time, the organization provides various essentials, including schooling for children, job training, financial planning and therapy. After residents are able to find jobs, Door of Hope helps each family transition into long-term housing and follows up for a minimum of one year with monthly check-ins, life coaching and other supportive services. Individual tickets to the gala are $175. For more information and other ticketing options, visit doorofhopegala.afrogs.org.